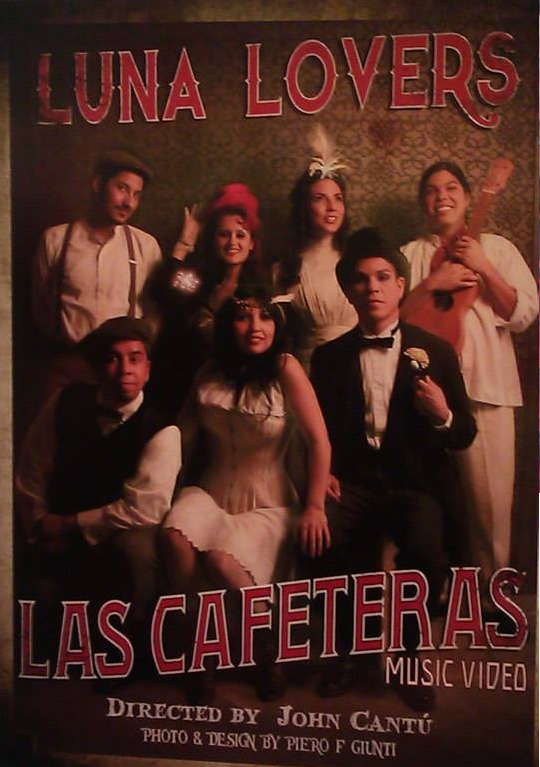 It was quite a party at Las Cafeteras Luna Lovers premiere party last week. La Santa Cecilia, Maria del Pilar, Irene Diaz and La Chamba Chicha Cumbia were in the house and big shout out to John Cantú and crew for their work on the gorgeous video and Mucho Musica and Vincent Price Art Musuem for hosting the event open to the community. It was great to see how far Las Cafeteras have come…it reminded me of the reasons I dig them so much, not just as a band but a fine group of decent, hardworking and dedicated people. Enjoy their Luna Lovers video at the end of the list! Welcome to another July edition…more sun, more fun, and too many great events to choose from! I’m keen on catching London Grammar from the UK at their US debut at Monday’s School Night. Tuesday is Quetzal Guerrero’s Cali Hustle, one of my favorite music monthlies. Wednesday the only place for me to be is Amadou & Mariam’s show at the Fonda and if I have gas left (which is doubtful after one of their nonstop high-energy shows), the monthly Discotan near downtown or Bombilla on the westside look tempting. Thursday is practically an early start of the weekend with so much great free music: Ximena Sariñana at the Hammer, Surfer Blood at the 1st of the Twilight Concerts on the Santa Monica Pier, and 2 genre-mixing bands at the Levitt Pavilions: Gangstagrass, combining rap and bluegrass (say what?) at MacArthur Park and Western Standard Time, a big band orchestra tribute to the Skatalites, a Jamaican ska band. Don’t forget it’s also the monthly Downtown Art Walk! Friday, my beloved Las Cafeteras perform a noon show at California Plaza and come night time, it’s all about supporting the community in Boyle Heights at the monthly CaminArte marketplace at Mariachi Plaza. There will be great arts & craft vendors and local musical talent, along with Joe “Peps” of Aztlan Underground performing at Espacio 1839 and an open house for Las Fotos Project, an organization empowering young latinas; all the events are within walking distance of each other. Farther away, Vieux Farka Toure from Mali is performing at the Levitt in Pasadena and my Brazilian friends Katia Moraes and Samba Society are playing a free show in the La Brea area. 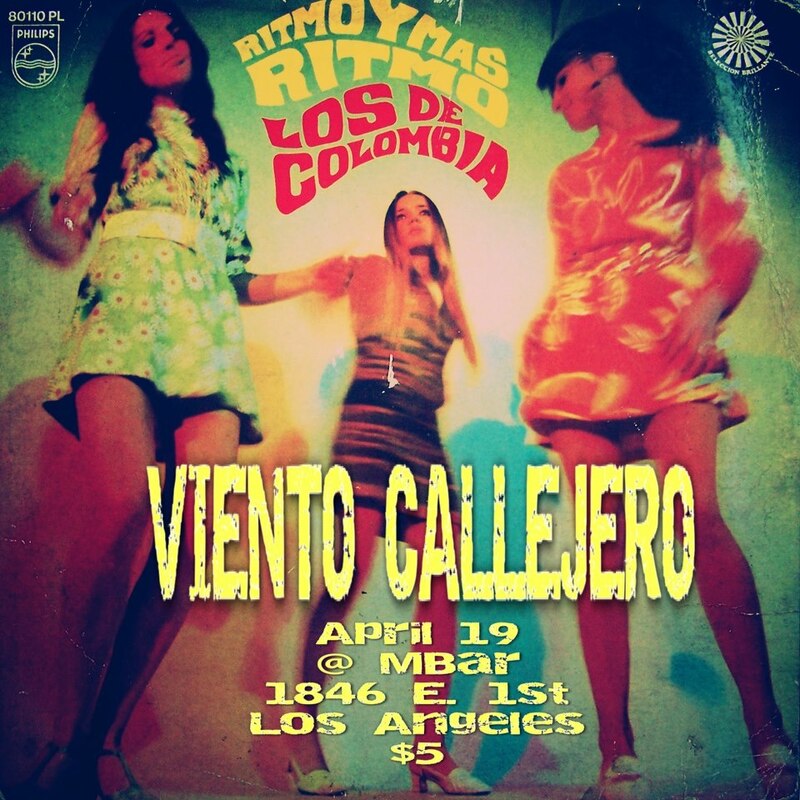 Saturday, La Santa Cecilia plays in Santa Monica while Viento Callejero, their former guitarist Gloria Estrada’s new project, plays near downtown. Her new band also plays a free show on Sunday at a great free event in Long Beach along with other talented LA groups El Haru Kuroi and Atabey. Francophiles won’t want to miss Bastille Day on Sunday and there’s a great fundraiser for a documentary film The Fez Forever, about the first Arabic nightclub on the West Coast opened in 1959 and an iconic part of LA history. As always, I like ending my Sundays in Long Beach where DJ Potira spins Brazilian Baile Funk and you can get your bunda-shaking workouts on with the free dance lesson there every week! Also, the Outfest LGBT film festival, in its 30th year, starts this week and I keep missing opportunities to see Adunni & Nefretiti, a female ensemble from Nigeria. They’ll be performing workshops & shows all this week so I hope to catch them before they leave LA! This week’s list is always a work-in-progress (still many more events I have to post when I get back to the computer, as well as new ones I learn about as the week goes along!). So keep checking back! Do you have an LA hidden treasure or great cause people should know about? Let me know! Have a great week, Angelenos…enjoy this video of Andrea Zuñiga, one of the many talented artists and voices from our diverse, beautiful City of Angels. If you like her music, come catch her at the CaminArte on Friday! CAP UCLA 2013-2014 Music Lineup Announced! I’m a big fan of the Center for the Art of Performance at UCLA. They feature an eclectic variety of music, dance and theater representing a diversity of genres from around the world. I’ve witnessed the most amazing concerts there this past year from the emotionally touching Charles Bradley show (one of the few shows I’ve been moved to tears) to the raucous Bajofondo concert (where the band invited the audience to pile onstage with them for their last song!). They just released their next season’s schedule and tickets are now available. Here’s a teaser and some of the shows I’m looking to seeing. Tip on the shows at Royce Hall: if you’re like me and you can’t stand sitting down for great music, you can stand at the sides of the stage and dance or watch as long as you don’t block people’s views. So I always buy the cheapest seats in the back and just walk up to the front. The staff there are very cool and understanding about us dancers who just can’t remain seated!